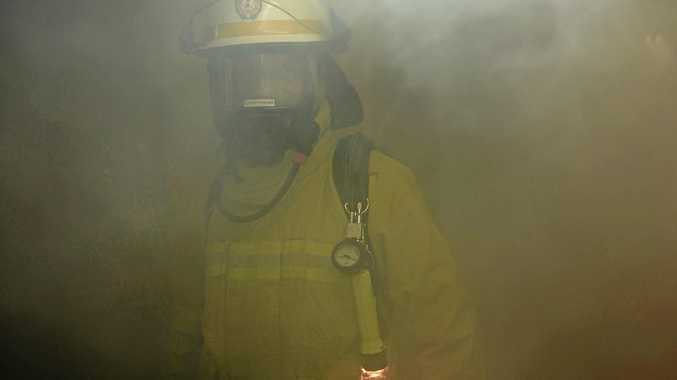 A BEACHSIDE resort has been evacuated after a flea bomb exploded in the building, exposing nine people to toxic smoke. Three Queensland Fire and Emergency Service crews were first called to the Clubb Coolum resort on David Low Way at 10.05pm yesterday, after a smoke alarm went off in the building. On arrival, they found smoke issuing from the building after a flea bomb discharged. The area was evacuated but three people in the resort had already been exposed to the toxic smoke, along with six emergency services officers who rushed to help. Paramedics checked over all nine civilians and officers, but none required transport to hospital. The Daily has contacted Clubb Coolum for further information, but management said no further information was yet available.